As the weather cools down, we tend to stay indoors more. Winter is typically a low season for holiday goers, as many do not want to brave the cold. However, a cooler climate also means cuddling up close to someone you love and what better way to do that than with a romantic B&B Sunshine Coast weekend away? The Sunshine Coast Hinterland is a very popular winter holiday destination. Offering luxury Montville & Maleny accommodation, Hunchy Hideaway gives couples the chance to get some much needed alone time. With a number of B&B Sunshine Coast packages to keep you occupied or the freedom to cater for yourself, Hunchy Hideaway is the perfect way to spend your winter break. Every Hunchy Hideaway cabin comes with all the winter warmers you need. The Panorama Cottage in Maleny has a generous outdoor hot spa which offers glorious views of the Sunshine Coast Hinterland and if you are lucky a glorious sunset. All of the Montville cabins include a double indoor spa bath so you can have some bubbly fun in the warm water. 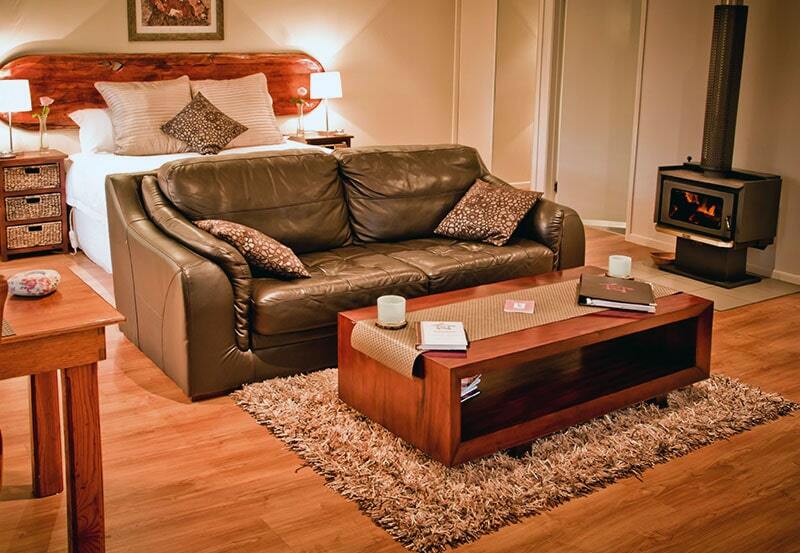 All of the accommodation options at Hunchy Hideaway also include a wood fire. Get back to basics and stoke up the fire in the afternoon so you have a roaring hearth by dinner that you can cuddle up to as the light fades. They also offer reverse cycle air conditioning if you just want to get warm without working up a sweat! So, don’t cringe away from the cold! Make the most of it and get close to your special someone in a luxury Montville cabin or Maleny cottage. For more information, or to check availability and rates, head online to www.montville-cabins.com.au/contact-us/ or call (07) 5478 5470 to talk to one of the friendly representatives from Hunchy Hideaway.